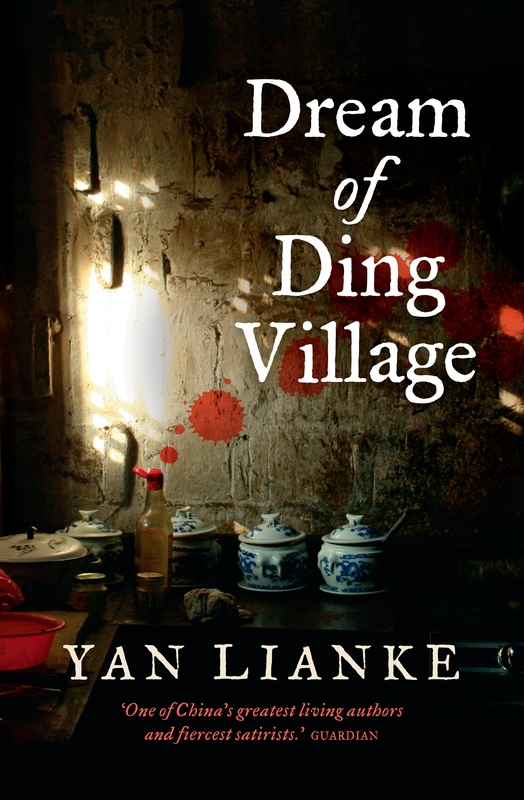 Yan Lianke is a writer I have read twice in the course of shadowing the man booker and IFFP before we have twice reviewed his books Dream of Ding Village and Four Books . both of which showed the dark of modern day China .I am always saying I miss the Chinese novel that takes on these Mega cities that are now so vast and huge they are like a sprawling creatures on the chinese landscapes what it must be like to be in those place is what I want to know . Well this on the surface is partly what this is about the birth of one of those mega cities from a few small huts and house to a cities of millions. When explosion Village was first founded, it had about hundred residents. Because the village had Yi river in front and the Balou Mountain range in back, and because its fields were wide and flat, farmers would often gather there to barter and to buy and sell goods. As a result, the village gradually became a small marketplace. The small start rather like a number of these megacties . The novel follows the people of the city of explosion , I find an irony in the name as this is what these huge cities are explosions on the map in away and this is the tale of one of those told in its own history .What we see is a small village lead by Zhu Ying father starts to expand the village , but he runs into trouble as there is a rival family the Kong family there are two brothers they also what to be in on the growth of the city. Then Zhu father is killed in strange circumstances so she leaves but like all prodigal children she returns and firstly runs a brothel then starts to become a serious businesswoman .Add to that marriages between the families , a large amount of back hash. backhands and blackmailing . A scene where a number of elders kill themselves and what we have here is the inside track of these monster cities birthed in the back and beyond and allowed to grow uncontrolled under no supervision into a mega city with a dark underbelly. Democracy mixed with a thunderstorms, leaving explosions completely soaked. Zhu Ying returned from the provincial seat the day before the election .By this point the rain had stopped, the sun had come out and the air was fresh. A sedan brought zhu Ying to the entrance of the village, where she saw the enormous stele the town mayor had erected in her home. Then she strolled into the village . Zhu Ying returns to her home town to get back what was theirs in the past . Well I like this it still missed the sense of what it is for these place to be as an everyday person it had at times a traditional Chinese fable like feel to the story as it went on the brother the daughter scared by her father death a marriage to try to unite them these are all familiar themes in myths especially Chinese myths . Maybe what Yan is trying to say is these cities are in a way surreal and fable like growth places like Suzhou have expand since the Chinese since the post Mao reforms . He captures the madness of this world of backhanded and blackmailers. Like his other books he takes a look under the veil of modern china.This is my favourite book by him and worth reading for a take on modern China . I said when this one arrived it was the first Chinese novel I had read the blurb of and thought I would like . 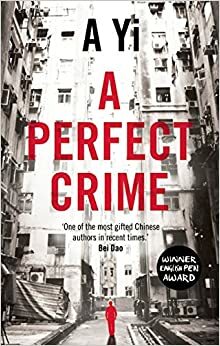 I’ve not really hate the other Chinese novels I ‘ve read for me they miss what I want to see and that is the experience of living in a mega city or living in a country that is so in flux and yet so traditional in other ways . A Yi was a police officer for five years then turned his hand to writing first as editor at Chutzpah a lit magazine and he then moved to Xiron publishing where he set up a literary imprint “Iron Gourd ” he has written numerous short stories and has his own blog in China .He was on a list of 20 future literary giants in 2010 .
it struck me with an incredible force that she was letting me kill her . It wasn’t my decision to make . She was the one in charge , walking in front of me , leading me up the stairs towards her death . He is rather delude in some ways !! A perfect crime this isn;t that at all ,of course the perfect crime is the one where the person doing the crime doesn’t get caught ! This book follows one teenager as he kills the Aunt whom he shares the house with and then tries to run away and get away with the crime .He kills her stuffs her in a washing machine and then decides to run . He some how in a country of billions manages to get capture where he is interrogated and sentence by the court and then … Why did he kill her , why did he run ? The book follows a bleak teen into a bleak world . My body kept sinking and I had to fight for the right to rest . Sometimes my poor hands would let my feet take the burden , sometimes the other way round . In the middle of the interrogation after he is caught . The book is told in short choppy chapters you see he is a writer that is maybe more at home with a short story eac h chapter is self-contained . Yet tell a part of the whole story from the early stages to deciding to kill his aunt the killing then we see how he runs off in three chapter then we see the judicial and police process from the teenager view point . The whole story is told in the first person .This shows a brutal crime and the outcome . A Yi style is trimmed and brutal , he hasn’t hidden Chinese police and justice systems behind rose-coloured glasses , no this shows the brutal nature of justice in China ! Now the cover mentions Kafka , Camus among others . For me I was reminded of communist writers like Herta Muller a book like the appointment which like this book shows the inner working of the bureaucracy of Communism .But it is also about a world that is being lost clashing culture the aunt generation and the hi speed ,hi tech world of the teenager .A novel that lifts the veil of growing up faceless and in this case nameless in a nameless city that could be any one of a thousand small cities in china ! Have you a favourite Chinese novel ? 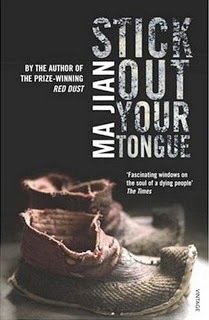 I have reviewed Ma Jian before his book stick out your tongue , which was like this book a book that had made the Independent foreign fiction prize list ,This is my first review after the long-list was announced and it is a writer I have enjoyed before .Ma Jian was born in Qingdao ,his education was cut short due to Mao’s cultural revolution .So he set about studying a Chinese dictionary word by word ,moved to Bejing working as a photojournalist and also painting in the early 80’s he became involved with dissident movement .He published his first book in 1987 the one I read a couple of years ago stick out your tongue . “Keep out of this !” he replied , rubbing his cold red hands together .”Haven’t you read the public notice ? I f a woman is found to be pregnant without authorisation ,every household within one hundred meters of her home will be punished .You should reported her to the authorites before the child was born .As her next-door neighbour ,you’ll be fined at least a thousand Yuan . The way the keep people in line making everyone a nosey parker and potential stool pigeon . 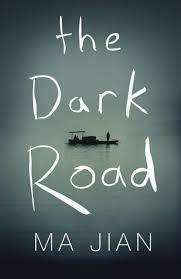 The dark road is another book set in the heart of china the china we don’t see .Melli is the main character in this book born into a peasant family ,we follow her journey down the Yangtze river with her husband Kongzi ,he was the teacher at the school in the village ,the pair have a daughter but due to the stringent One child rule at china (one that has only just been partly relaxed ) .The pair want a son so have to hit the road in this case the road is actually the river as we see them head through china to the south .Kongzi isn’t what he seems and is desperate for this second baby the son to carry on the family line .Along the way we see the ruin the rapid industrial growth of china has brought to the towns and river itself ,Also people lives who have been broken by the river a man looking for his mother that Melli briefly seems to connect with .Also over scandals like fake milk .All this as the pair try to avoid the state taking a potential second baby . “Wait until your baby is born before you leave ” says Bo’s wife ,a scruffy women called Juru “You can give birth in the backstreet clinic behind the Family planning centre .The midwife only charge three hundred Yuan . An example of the wry humor at times the backstreetclinc is next to theoffical family planning clinic . This is a journey into the heart of darkness that is parts of modern china .Ma Jian is well-known as a critic of certain policies of the reigme ,but seeing this journey through Melli’s eyes it is hard not to avoid being critical of the regime ,from the piles of rotting junk at one point they work on sorting through ,to fake baby’s milk being sold .Then there is the vicious nature of the family planning police controlling the one child policy also the widespread corruption .For me my heart just poured out for Melli a simple yet loyal woman who has a husband that rapes her ,people wanting to take her baby and then having to do a variety of vile jobs . The chapters all come with helpful bullet words at the start relating to the vital parts of each chapter ,Thou the book has a dark sense to it ,there is also wry humour at times the sort of gallows humour that a world as dark as part of china in this book can bring .As for translation it is near perfect as Flora Drew is Ma Jian wife and has already translated five of her husbands books . Have you read Ma Jian ? I m so pleased I picked this up at the library long have I struggled to get a foot in on chinese fiction ,I ve a few books on my shelf but have read first few pages of them and not be gripped so have been on the look out for something short to get my juices following for Chinese books , but I saw this Ma Jian’s debut collection published in 1987 and in English in 2006 which is only 89 pages long and thought I ll read this in an evening . I didread it in a evening , but also found a chinese writer I love, as well ,and was pleased to be told on twitter when I said I d read it , he has other books out already .well stick your tongue out is a collection of five short stories ,as normal I ll mention only one of these thus leaving the others for you to find for your self .I ve chosen The smile of lake Drolmula we meet Sonam ,he is a Tibetan nomad that has left his nomadic family to live in the city ,but is returning to find his family , we meet him as he stops by the beautiful lake Dromula ,as he does he images how the people in his family have grown in his time away from them ,also little bits on what he remembers his family being like a certain apron ,this piece is full of the natural beauty but also the hard life of a nomad at the same time ,also how familes can easily drift apart ,as he progresses he finds his family hard to track down . The black horse must have delivered my sack to the tent by now ,he thought to himself .In a daze ,he found himself walking back to his family’s tent .The sheepdog Pemu ran up to him and rubbed its head against the zip of his trousers . Does he make it or is it just imagined ? This collection was longlisted for the independent foreign fiction long list in 2007 .The stories all set in Tibet portray a place of wide open spaces and beauty, but also people struggling to survived under communism and the harshness of the landscape ,but also the characters in the stories seem to be loners and outsiders almost looking for answers at times son and a writer among them . Ma Jian lives in exile in London with his partner Flora Drew the translator of the book ,his books are banned in China due to their content .Ma Jian is also banned from china since this year .If like me you want a door into Chinese fiction I remember someone on the book show from ABc saying that Chinese fiction would be one the rising star of the 21st century literature . This may be the book for you ,the translation is wonderful from the Han original as you would expect as she is his partner . Have you a favourite chinese book ?